Managing Broker for RE/MAX Suburban Mount Prospect Office. Full Time Real Estate Broker. Specializing in Residential Real Estate, First Time Home Buyers, Relocation, New Construction, Home Builders, Foreclosures, Short Sales, Senior Housing, Distressed Home Sales, Investment Opportunites, etc. 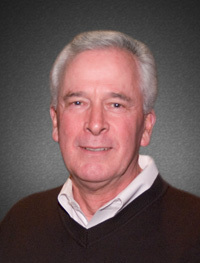 "Jim is without question the most knowledgeable Real Estate Professional we have ever met. He listened to our needs and concerns and consulted us on every phase of the selling and buying processes. His honesty and integrity are unmatched. His patient approach made us feel very comfortable and never overbearing. We could not be happier with our sale or our new home. We could not have done it without Jim Grady!"